The Christopher brings a new look to Martha's Vineyard. Photo courtesy of The Christopher. Looking for an idyllic summer getaway that speaks to your inner urban aesthete? 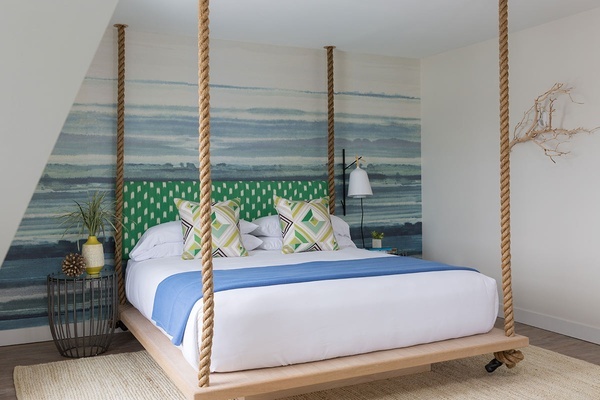 You'll find it at one of these new boutique hotels in Nantucket and Martha's Vineyard. 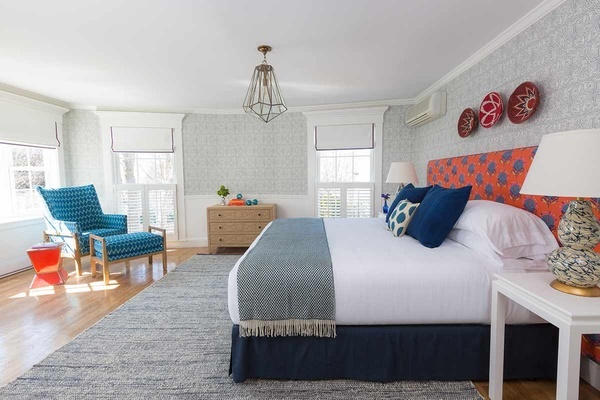 NANTUCKET + MARTHA'S VINEYARD – New England's summer playgrounds — Nantucket and Martha's Vineyard — are experiencing a boutique hotel boomlet (relatively speaking, of course, as the islands are each home to less than 15,000 local residents). 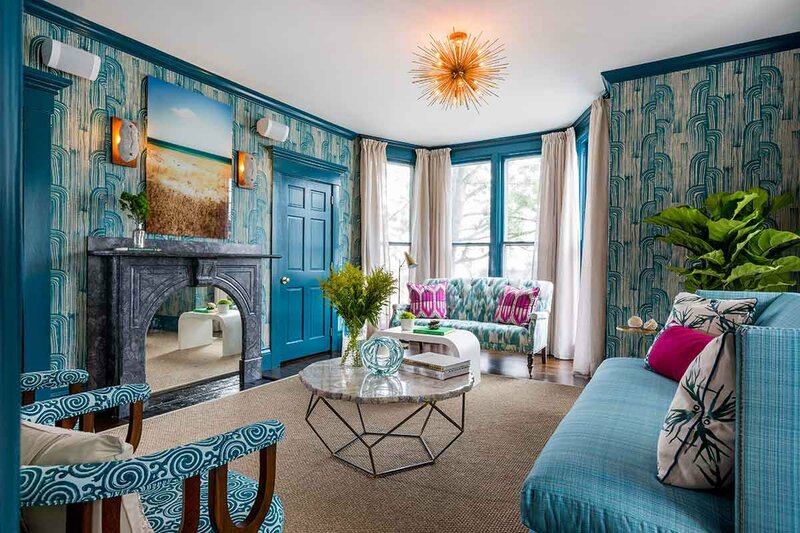 Atmosphere: Roman and Williams designed this soon-to-be-open, 20-room hotel in an 1850s Greek Revival building and modern addition — and it's a real looker. The vibe reflects the island's variety of inhabitants (whalers, suffragettes, actors, and artists) and history of unorthodox liberal thought. Thus: Dutch doors, Portuguese tile work, maritime accents, and well-worn furniture with just the right amount of patina. Perks: A garden overgrown with sea roses and wisteria; top-notch contemporary amenities (fast WiFi, phone-activated door locks); a level of service that makes the place feel like home. Jeff David, general manager of Greydon House, describes it as, "bespoke and residential with very little signage. Instead of a lobby bar and restaurant, it's a living and dining room. We listened to a lot of locals and learned we basically needed to build a paradigm — as if it was always there." Easy, breezy, beautiful. Photo courtesy of The Christopher. Atmosphere: The 15-room hotel, housed in a beautifully restored Victorian inn, has a French Caribbean-meets-New England feeling. Breezy linens, rattan furniture, bright wallpapers, and batik prints are pulled together in a clean, crisp, cool, and very Instagrammable way. Perks: BYOB evening mixer bar (obviously) and a fire pit in the adorable courtyard. A small plate breakfast. Waffle robes! The hotel's clean, modern design is a welcome departure from the preppy coastal look most hotels go for in MV. Summercamp is all about fun. Photo courtesy of Summercamp. Atmosphere: Good, old-fashioned fun, as inspired by its former incarnation, as a camp destination for the Methodist Church. Design director Rachel Reider tapped into nostalgia and play with vintage tennis rackets on the walls, rocking chairs on a wraparound porch, games on the lawn, a Rec Hall for rainy days, and a Camp Canteen that sells penny candy and Yahoo chocolate milk (childhood summer staples of yore). Reider says, "We wanted to capture the glory days of childhood summers by creating someplace that's casual and family-friendly but also appeals to an adult sense of fun." Perks: It's a no-brainer for families. There are several suites to accommodate groups, movie nights, Twister in the Rec Hall, a life-size Connect-4 in the lobby. The 95 rooms overlook the campgrounds or the water and are nestled within Wesleyan Grove, a community of miniature gingerbread cottages.